Mark Seemann is a Danish software developer based in Copenhagen, Denmark. His professional interests include object-oriented development and software architecture, as well as software development in general. 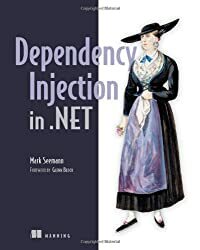 Apart from writing a book about Dependency Injection he has also written numerous articles and blog posts about related topics. Despite being a .NET developer he takes most of his inspiration from sources across a wide range of technologies, including lots of pattern books. Originally poised to become a rock star or (failing that) graphic novelist (in the European tradition) he one day found himself with insufficient talent for either, a masters degree in Economics, and a desire for working with computers. He has been doing the latter intermittently since 1995. When not working with software or spending time with his family, Mark enjoys reading, drawing and painting, listening to and playing music, as well as preparing or consuming gourmet food and wine.